"These sands are cold, but Khajiit feels warmness from your presence." 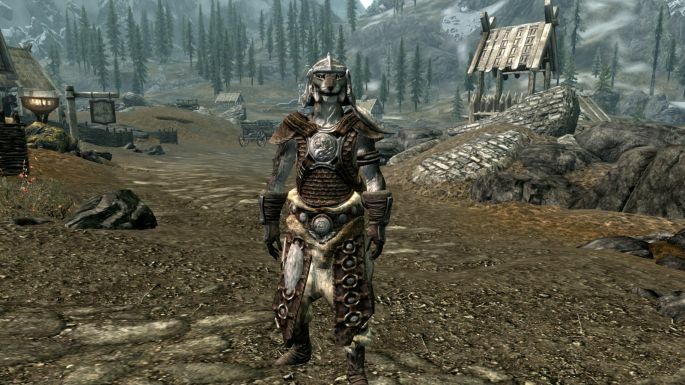 Armor Set: Hide/Scaled Armor with Resist magic enchantment, hide/scaled helmet and boots. Extra Armor: Steel Gauntlets with Unarmed damage enchantment. The Steel Khajit was a khajit boy named R'Soy living with his father and mother. The boy had a fascination with the khajit claws and used them to defend him from other races. 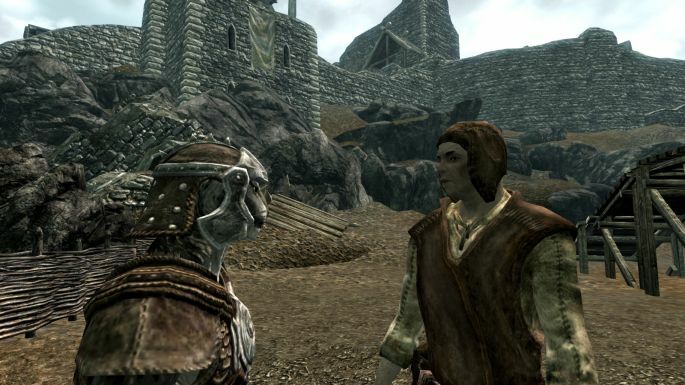 One day, the boy set out from his home to seek adventure and was caught by the imperials. He escaped them and now is finding new ways to improve his claws and he is successful, for he has created the ultimate weapons - The Gauntlets of Justice, not your ordinary steel gauntlets. 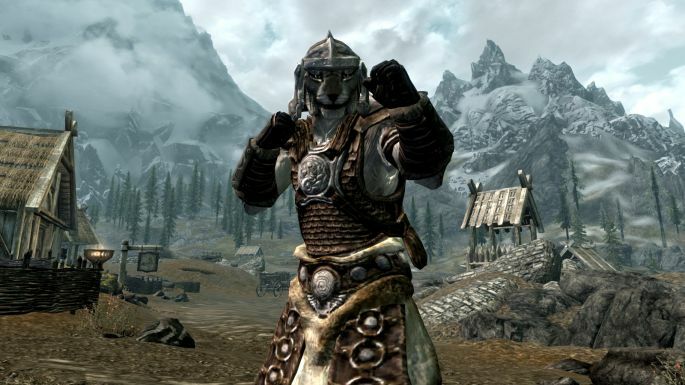 The Steel Khajit fights people using his claws and the unarmed damage enchantment. Also because of the lord stone and the enchantment on the armor, mages will not be so tough. For dragons, you could use archery however I'd leave the main quest if I were you. The portrait is made by UncleHappy.